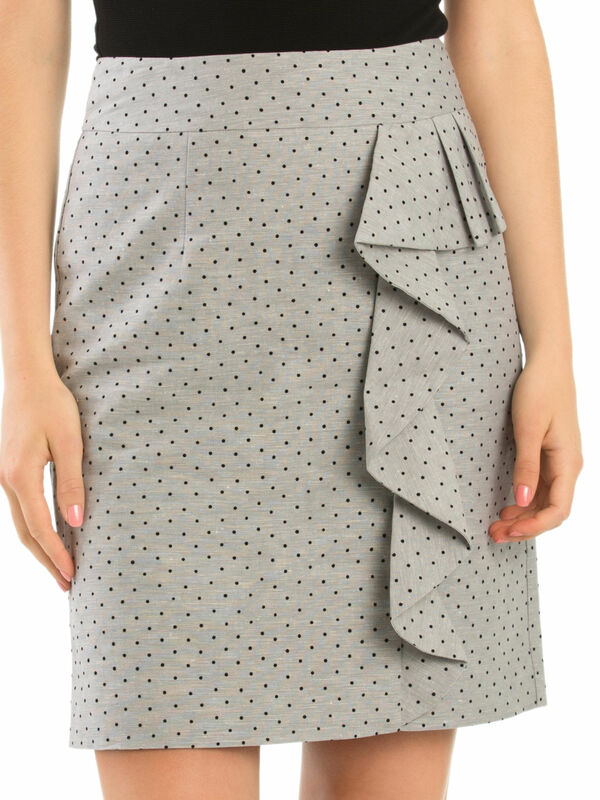 Amelie Skirt https://www.review-australia.com/global/amelie-skirt-charcoal-black/RE19SK104.REBLK050.html Polka dots never go out of fashion and this Amelie Skirt combines that playful print with a timeless design. The structured skirt also features ruffle detailing around one hip and down the front for that added but of charm. It has a hidden zipper on the reverse and a small split on the back hem.